One way or another, the William Nylander contract standoff in Toronto is about to come to an end. It’s been a very drawn out, dramatic process that most people didn’t think would get to this point, but this season’s restricted free agent deadline is approaching and there needs to be a resolution in the next few days if Nylander is to suit up at all this season. If you haven’t been able to fully keep up with the situation, here’s what you need to know. Good place to start. Nylander is a talented 22-year-old winger for the Maple Leafs. 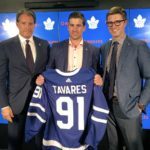 Toronto drafted him eighth overall in 2014 and he’s become one of their young pillars in the organization (alongside Auston Matthews, Mitch Marner, Morgan Rielly). In each of his two full seasons as an NHL player, he’s been a 20+ goal scorer and a 60+ point contributor and he has a bright future ahead of him. 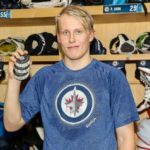 Also, his father is former NHLer Michael Nylander, who spent 15 seasons in the NHL with several teams, including the Flames, Blackhawks, Capitals, Whalers, Lightning, and Bruins. William’s younger brother, Alex, is in the Buffalo Sabres organization. With last year serving as his third official NHL season, Nylander completed his entry-level rookie contract and became a restricted free agent. 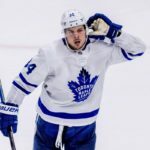 Under the NHL’s restricted free agency rules, his rights still belong to the Maple Leafs but any team in the league can offer him a contract proposal, otherwise known as an offer sheet, with Toronto being given the chance to match any offer (and then sign Nylander at those same terms). 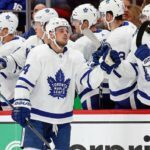 If the Leafs were to decline to match an offer sheet, Nylander could sign with the other team and that team would have to provide Toronto with compensation in the form of draft picks. What kind of money is Nylander in line for? It depends on a number of factors but, if an agreement is reached, it seems likely that he’ll land anywhere between just south of $7 million and just north of $8 million annually. If you look at Nylander’s production through his two full entry-level years (0.75 points per game) and the comparables, there’s a decent baseline to work with.